Creamy Hojicha Oatmeal Bowl – Hojicha Co.
There’s nothing as comforting as a warm bowl of hojicha oatmeal on a cold morning. Naturally sweet hojicha is a deliciously healthy alternative to those artificial flavors found in instant oatmeal packets. The best part about cooking rolled oats on a stovetop is being rewarded with a perfectly creamy bowl of oatmeal every single time. The secret to a creamier consistency is combining the oats with liquids before cooking, as well as adding your favorite milk along with the hojicha infusion. 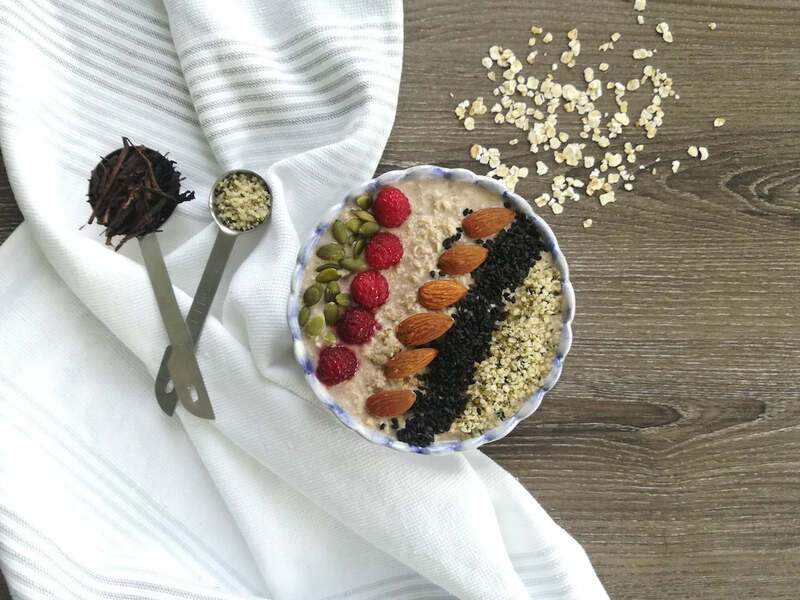 While the toppings are completely optional, adding them isn’t just for making your oatmeal bowl picture perfect as they also provide extra nutrition and contrasting textures. Add 4 tablespoons loose leaf hojicha into a teapot of tea infuser. Heat filtered water to 90°C, and pour 350 ml of water over the hojicha in a circular motion. Steep the hojicha for one minute, and then remove the tea leaves. Cool slightly. Add prepared hojicha, 120 ml of your favorite type of milk, 1 cup rolled oats, 1 teaspoon ground flaxseed, ⅛ teaspoon Himalayan pink salt, and 1 ½ tablespoons maple syrup into a small saucepan. Heat the mixture on medium-low heat, stirring occasionally, until it thickens to your desired consistency. Pour the oatmeal into a bowl and decorate with your favorite nuts, seeds, and fruit.